If you are looking for spiritual guidance or communication, it is likely that you will come across both psychics and mediums offering this type of service. 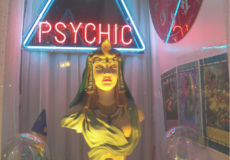 You might even see people use the terms “psychic” and “medium” interchangeably, but the truth is that while both psychics and mediums can offer spiritual guidance, they have important differences in what types of guidance they can offer and what methods they use to achieve it. 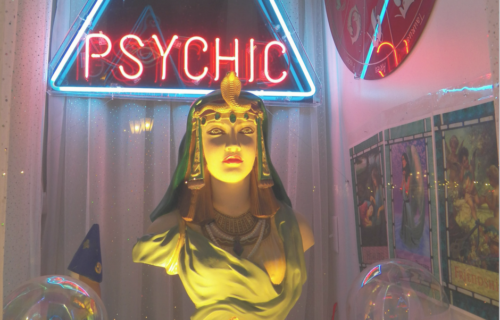 The distinction between psychics and mediums, however, can have some overlap. Some people say that all mediums are psychic, but all psychics aren’t necessarily mediums. Some professionals can also be “psychic mediums” that draw from the abilities of both skill sets for a particular kind of guidance – but we will get to that. The bottom line is that we all have an intuitive ability- we just tune into information in different ways. 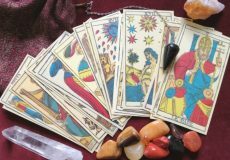 To help you find the right spiritual professional to suit your needs, here is some guidance showing the similarities and differences between psychics and mediums. Clairvoyance: the ability to see your experiences through time. Clairvoyance is the most well known, but least understood of the key psychic abilities. It’s almost like watching movies in your head. It is important to note, it is not necessarily seeing the future or having vivid psychic visions as you see in Hollywood films. Rather, clairvoyance tends to be very subtle. For example, you may just see a color, a number, or even a symbol. You may or may not understand what these images mean, and they are not always meant to be taken literally. Clairsentience: the ability to feel your experiences through time. Clairsentience allows you to receive intuitive messages through either feelings, emotions, or physical sensations. If you’ve ever heard someone say they are an “empath” they have a strong clairsentient ability. If you have this ability, you may feel drained or excited in crowds of people depending on their energy, as clairsentient individuals pick up on the moods of people around them. Clairaudience: the ability to hear your experiences through time. Clairaudience allows you to hear messages and guidance through inner hearing. Psychics and mediums, that have a strong clairaudient sense, are able to hear things that others cannot, such as spirit voices, sounds, and sometimes even music. This is how spiritual mediums are able to hear words, phrases, and/or names from those on the other side. Claircognizance: the ability to know or understand your experiences through time. Claircognizance allows you to know something without underlying logic or facts. It is an inner knowing that some people possess, for example, a friend of mine had a feeling her brother was going to be in a car accident. She told him not to go, but since she had no logic or fact to this feeling, he decided to go anyway. An hour later, she could not reach him so she drove down the street to find he had been sideswiped by a truck that ran a stop sign just a few blocks away. He recovered from the injuries, and this was the beginning of her understanding of her claircognizant ability. While these skills are powerful tools, psychic abilities are not limited to these methods. 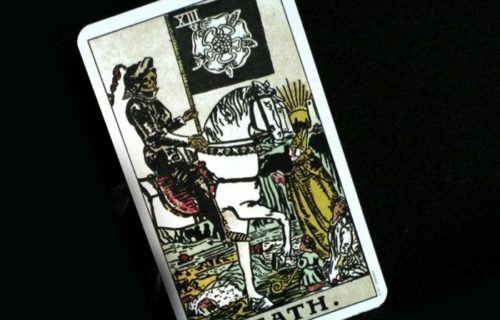 In fact, one characteristic unique to psychics is the ability to use objects to interpret divine information, such as tarot and oracle cards, drawings or paintings, tea leaves, or palm readings. Because psychics are able to tune into your individual energy and experiences, they are the ideal spiritual professional if you are looking for guidance on life issues, transitions, future potentials, or life path and purpose. Mediums have the ability to tune into higher spiritual guidance, like Angels and Archangels, Ascended Masters, Spirit Guides, Light Beings, and Loved Ones in Spirit. One common misconception about mediums is that they only communicate with Loved Ones in Spirit. There are many mediums who connect with more than just loved ones who have passed. Through this type of communication, mediums act as a conduit for information between spirits and people. For this reason, mediums are most often sought out to communicate with the dead, whether to gain comfort, guidance or other personal information that might have been left unsaid during the loved one’s life. Since mediums specialize in direct communication with spirits, they are the ideal spiritual professional if you are seeking to talk to a loved one who has passed, Archangels, Ascended Masters, Spirit Guides, or Light Beings. What is A “Psychic Medium”? Psychic mediums use both perception AND reception. Some spiritual professionals use the skills of psychics and mediums to provide spiritual guidance. Psychic mediums are able to tune into your Spirit Guides – Angels, Archangels, Ascended Masters, Light Beings, Animal Helpers, Loved Ones in Spirit – for divine guidance and wisdom, which helps them offer actionable exercises to enhance your spiritual path. They are also able to utilize their psychic abilities, like clairvoyance, clairsentience, clairaudience, and claircognizance to gain information about your past, present, and future experiences. The combination of abilities helps to understand the information they receive from your Spirit Guides in a more holistic context that applies to your individual experiences and circumstances. For me, as I learned how my intuitive gifts/skills worked, I realized that I am a healer, a psychic, an intuitive and a medium. That’s a lot to put on a business card! As I honed in on my passion and focus, I realized that connecting with energy from Archangels, Ascended Masters and Light Beings for my clients was my specialty. While I can connect with loved ones in spirit, my sweet spot is in guiding and empowering people through transformational situations in their lives. I do this primarily accessing the energies mentioned above. Using a unique blend of energy healing, psychic guidance, channeling and coaching I help my clients move through whatever life throws their way. I provide a clear path so they can move forward with confidence and actionable guidance. knowing they are not alone on their journey. Is a Psychic, a Medium, or a Psychic Medium best for you? Do you need a psychic to tune into your energy to give guidance? 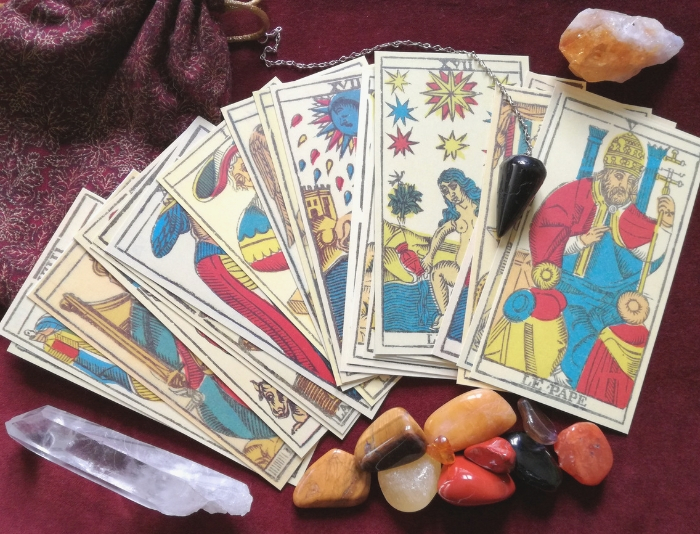 Psychics use reception to gain insight about your life, using objects, such as tarot and oracle cards combined with their natural psychic abilities of clairvoyance, clairsentience, clairaudience, and claircognizance. 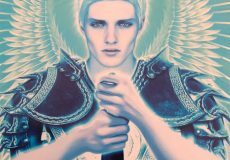 If you wish to communicate with loved ones in spirit for guidance, angels & archangels you would certainly want to be more well-suited to connect with a medium. When you require both perceptive and receptive abilities, then you will want to contact a psychic medium who has both skillsets. And if you are like most “first-time” clients I meet – you may be overwhelmed and not really know what you need. If that is the case, I encourage you to just find a trustworthy, reliable psychic with good reviews (Read: 5 Tips To Help You Find A Trustworthy Psychic). I would also invite you to connect with me for FREE! I do a few free readings every Wednesday on Facebook Live at 8 PM EST. It’s a great opportunity to connect and get a feel for the type of guidance I provide. Just head over to The Black Feather Intuitive (that’s me!) facebook page, and give it a “Like” – then check back next Wednesday at 8PM EST! I hope this article has helped shed some light on the similarities and differences between psychics and mediums. No matter where your search leads you, keep an open mind and continue to ask questions. I wish you luck on your journey to finding the spiritual guidance that you seek.